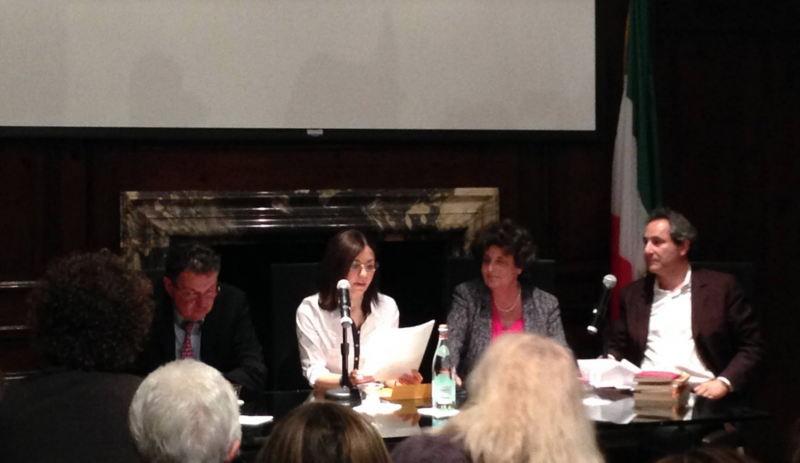 Paola Bassani’s voice echoed her late father’s in the conference room of the Italian Cultural Institute in New York. 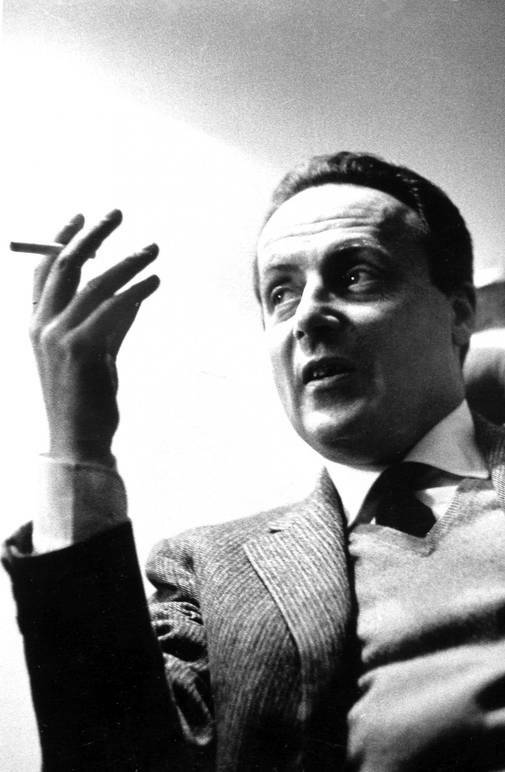 The occasion was Giorgio Bassani 100, a roundtable conference in honor of the centennial of his birth, in a city, New York, that was so significant for his personal and literary journey. Bassani much time in the city and in the United States during the 1970s, first as an environmentalist, as president of the organization Italia Nostra, in university talks and seminars, and in frequent appearances to celebrate the publication of his books. The ICI conference celebrated the publication by Cpl Editions of Giorgio Bassani, New York: Lectures and Interviews, a book that chronicles for the first time all of Bassani’s talks and discussions at the ICI as well as the publication of American Lessons of Giorgio Bassani, edited by V. Capozzo, from Giorgio Pozzi Publisher. Paola Bassani was joined by Giorgio Van Straten, president of ICI, Andrea Malaguti, Italian professor of Italian at the University of Massachusetts, and the Iranian writer Dalia Sofer. Here was one of the themes of Bassani’s work and strength of his life’s testimony. As Andrea Malaguti noted, Bassani considered himself a realist writer, for whom, notions of space and time were crucial. As an Italian Jew writing during the Nazi-Fascist era, he wrote of his Ferrara surrounded and closed in by anti-Semitic laws, a place of personal memory as well as of universal conscience. Bassani’s narrative in his novels of Ferrara depicts a unique moment in Italian history, shocked by the turmoil of the war. Not even the young rich bourgeoisie was safe, dangling between despair heroism, decadence and revolt. Malaguti underscored the impact that American literature had on Bassani’s work. He translated Melville, Dickinson, Hawthorne, James and many others whose works became his narrative blueprints. And those stories eventually landed on the desk of Dalia Sofer, a young Iranian writer. 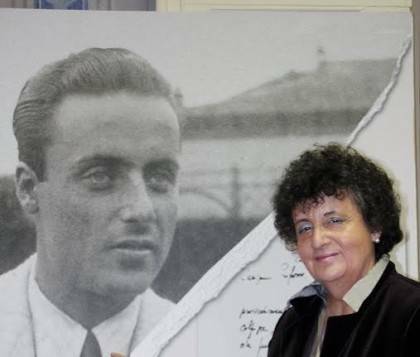 She discovered Giorgio Bassani by reading The Garden Of the Finzi-Contini (Bassani’s most popular book, and an Oscar-winning movie directed by Vittorio De Sica), and recognized herself in the opening scene of the book where the narrator remembers the story of the Finzi-Contini family by staring at their epitaph in a cemetery. Sofer remembered a familiar scene when she once discovered the tomb of her relatives who had also struggled with the plague of discrimination against the Jews of Iran during the Khomeini revolution. This power of memory is a central theme in Sofer’s first best-selling book, The Septembers of Shiraz, an autobiographic history of her family. Sofer’s story is in a way another garden of the Finzi-Contini, a space of splendid glory about to be erased by war’s destruction. Paola Bassani closed the conference by telling how her father needed to revisit and rewrite his entire production with the hand of the present, to revitalize his style and refresh his point of view on history. This new window on Giorgio’s Bassani poetic universe, opened by this conference and these new books,, could spark a systematic translation of the all of Bassani’s works.—so that a new generation of Americans might feel touch of the hand that eternally writes the now .